This is one of my favorite cocktails. 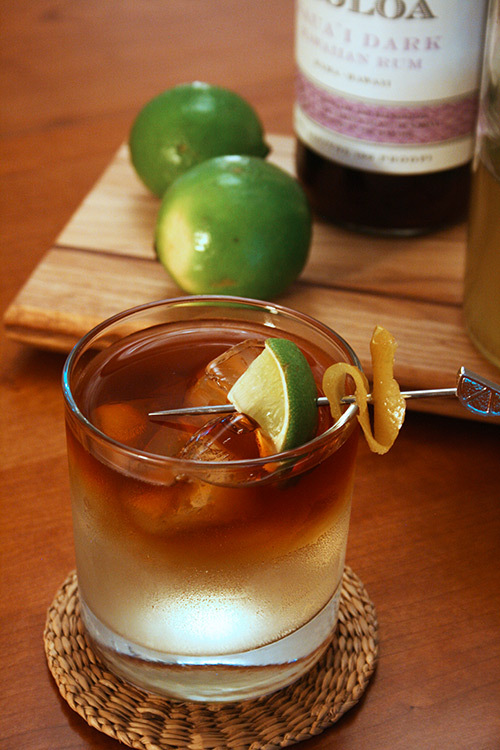 The key to making it special is to use real ginger syrup. Using canned ginger ale (like Canadian dry) does not taste nearly as good as the fresh, homemade kind. Fill a highball glass with ice cubes and pour in club soda or seltzer. Add the ginger syrup and stir. Pour rum gently on the top. Put a lime wedge onto a skewer and place it on top of the glass (squeeze lime and mix all well when you drink).